Best carpet cleaning contractor. Experienced in tile cleaning. You can rely on us for numerous other services and products pertaining to the water damage restoration and carpet cleaning industry. 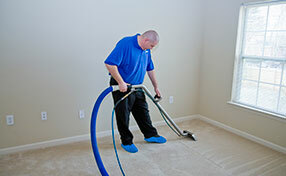 Water damage services or rug cleaning services you should contact us from Carpet Cleaning Services San Francisco. We are professional and specialized company Upholstery Cleaning San Francisco completely oriented toward our clients and their needs. If you cannot stand the dirty carpet when you walk in your living room or office, it’s time to take action. Carpet Cleaning San Francisco is here to make your carpet look and feel like new. We are highly experienced in removing dirt, stains and odor from all types of carpets. With us, you should never worry about things like the make, age or manufacturer. Our professional cleaning services cover rugs, upholstery and tiles too. You can rely on us to give you the most comfortable setting no matter whether you’ve just moved into a new place or have completed a major remodeling project. Our company is here to help you deal with more serious problems like water damage and mold. We leave nothing to chance when providing professional services. Our technicians are highly qualified and have plenty of experience. For every job, we use only modern cleaning equipment based on advanced technology. Our eco-friendly cleaning products are safe for the fiber and the dye, and for everyone on the property, as well as for the environment. For all these reasons, our company's reputation is excellent all throughout California. Count on us to handle even the most challenging job and to deliver superb results. Our company offers dependable and affordable carpet cleaning services to residential and commercial customers. We have the capacity to clean large areas in a short time - space is never a challenge for us. Our work begins with careful studying of the carpet with the focus being on the fiber, pile, density, texture, twist and dye. Whether you have a classic Saxony carpet or Berber with a modern touch, it will receive the special treatment which it deserves. With our powerful equipment and potent products, which we always test before starting, we remove all the dirt and stains from the fibers no matter how deep the culprits might be. The odor goes away with the stains no matter if they have been left by pets, food, beverages, chemicals or something else. 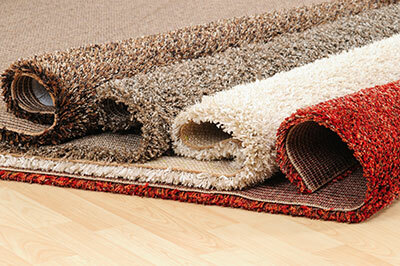 Your carpet will have its natural texture and color in the end. Most people use rugs for decorative purposes, but they still accumulate a good amount of dust and dirt, even if they are not placed in high-traffic areas. If you can see dust coming out of your rugs when you step on them and they generally look bad, rely on us for professional rug cleaning. Our services are designed even for the most delicate silk. rugs and the fluffiest wool ones. You can hire us with confidence even if you have a unique Persian rug made with the use of traditional techniques and materials. Our cleaning techniques always match the specifics of the items to deliver the desired results safely. It’s true that weekly mop cleaning helps to keep tile floors in good condition, but since most types of tiles are porous, dirt builds up inside eventually. This is the case with grout too. Our job is to extract the dirt stuck deep inside the porous structure and to give your tile floor the immaculate look you want it to have. We always take into account the structure, age and other relevant characteristics of the tiles to deliver the desired results safely. 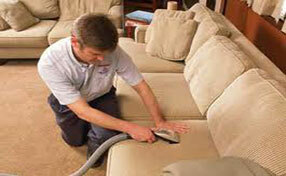 At Carpet Cleaning San Francisco, we strive to complete every job in the shortest time. It’s truly horrifying to see water soaking into your carpet and possibly into the furniture. However, you should not panic, but get help fast. Our company specializes in water damage cleanup. We respond quickly to emergencies and strive to complete the drying and dehumidifying job as fast as possible while being extra careful around your property. It’s our goal to salvage everything inside. Our company offers carpet, rug, tile and upholstery cleaning services of high quality. We’re efficient and reliable and always aim to deliver the best possible results. Carpets in the home or office are susceptible to many elements that can cause stains. Just as there are many causes, there are also many ways of getting rid of these terrible stains. When working with such professionals in San Francisco, you can be able to relax keeping in mind that they are well equipped to handle any situation. A company of carpet cleaning that does not house specialist cleaners will never be able to give you quality cleaning.